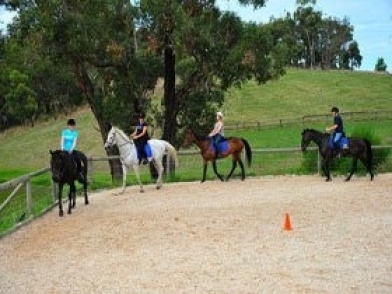 Located in beautiful Hahndorf the Megan Jones Riding School and Trail Rides is nestled amongst Megan’s own personal training facility at Kirby Park Stud. 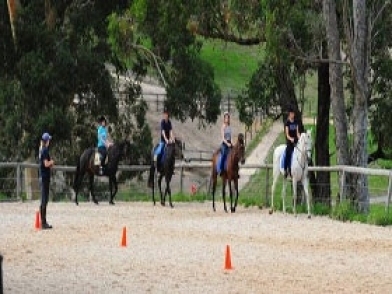 Conveniently located only 25 minutes from the Adelaide central business district the Megan Jones Riding School awaits you. With qualified instructors all directed by Megan Jones, the riding school welcomes all levels. With lessons catering for the first time rider through to advanced riders wishing to improve their skills, the Megan Jones Riding School has the program for you. Services include group or private lessons; school holidays 'own your own pony workshops', trail rides and corporate team building. Trail rides are available throughout the 100 acre property. Contact us for prices or special booking times as we understand that some people have special requirements and we are only happy to help.